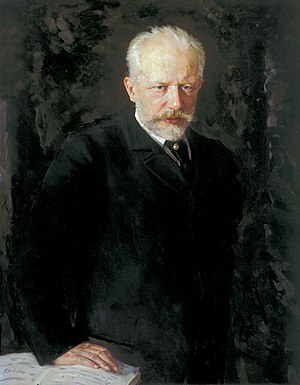 Peter Ilyich Tchaikovsky died on this day in St. Petersburg, Russia, at age 53. He was born Pyotr Tchaikovsky in Votkinsk, Vyatka Guberniya, Russia on April 23, 1840. His father, Ilya Petrovich Tchaikovsky, was a mining engineer who was the manager of the Kamsko-Votkinsk Ironworks. His mother, Alexandra, was Ilya Petrovich’s second wife. She was Russian of French descent. Alexandra was 18 years younger than Ilya Petrovich. Both his parents were artistic and musical. The Tchiakovskys moved to St. Petersburg In 1850 and Peter attended the School of Jurisprudence. He continued to study piano. His mother’s death (from cholera) while his was away at school was one of the most devastating events of his life. He wrote one of his first real compositions, a waltz, in her memory. 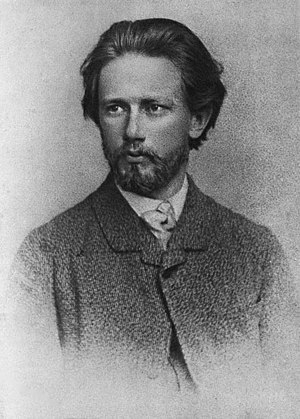 In 1865, after graduating from the Conservatory he secured a post as “professor of harmony, composition, and the history of music” at the Moscow Conservatory. Besides teaching he continued to compose and added music criticism to CV. Teaching proved to much for him and he suffered a nervous break down in 1877. The next several years were spent recovering and “wandering” (he toured Italy and Switzerland) before he landed at his sister Alexandra’s estate near Kiev. There he began to write and conduct for the orchestra. 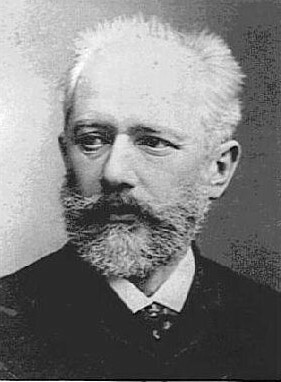 Tchaikovsky died, like his mother before him, of cholera. The composer drank “contaminated water in a restaurant, well aware of the risk of drinking unboiled water during a cholera epidemic” [Ibid] on this date in 1893. He was 53 years old. This entry was posted on Thursday, November 7th, 2013 at 2:36 am	and posted in Music, postaday, Tchaikovsky, Thought of the Day, Today's Birthday. You can follow any responses to this entry through the RSS 2.0 feed.